In Part 4 of his documentary “In the Footsteps of Alexander the Great” Michael Wood covers the legends and myths woven around Alexander in the Indus region. Finally Greece has formed a new Government. But as the international media debates over country’s future I am reflecting upon its rich past, the fate of that too hinges upon the fiscal policy of the new government. What happened to Greek archaeology the most spectacular on the landscape of Europe? Since more than a century its sites had been number one tourist destinations, and Greek archaeologists were almost a breed of celebrities. It was not too long ago when Melina Mercouri, a former minister of culture campaigned so confidently for the return of Elgin Marbles. As a theater actress she had enhanced Greeks’ longing for their past. She had made herself known on the international stage by acting in few Hollywood movies (“Never on Sunday” “Topkapi” and “Phaedra” with James Mason and Anthony Perkins) and she used her celebrity status too for the promotion of Greek culture. And what about the new Acropolis Museum, constructed only three years ago? Incidentally its third birthday is just being celebrated. Let’s hope the new government and the Euro economic establishment considers bringing back the state of archaeology back to its standard. Greece’s past had a huge impact on the then known world; in Pakistan and Afghanistan Gandhara art is a proof. More important are the ancient Greek manuscripts sprinkled with references pertaining to lands beyond Greece. Megasthenes’ account of India may be exaggerated but most of the chroniclers made sure to record many solid facts of the exotic lands where Alexander is only known through legends. What could be more revealing than the Greek record that established the chronology of Indian history or for that matter Pakistan’s history, or history of both the countries, at some points in the past it is permissible to cross political boundaries. It was Sir William Jones, an eighteenth century British Jurist posted in Calcutta who stumbled upon the name of an Indian King in a Greek chronicle- Sandrocottus, the name that he immediately identified with Chandragupta, the founder of the Mauryan dynasty and the first emperor of the sub-continent. Known for his theory of identifying Indo-European group of languages and tracing their roots to Sanskrit, Sir Jones had gone through many ancient manuscripts of these languages. Through Indian texts and Buddhist traditions he had come to know Chandragupta but the period of his reign was not dated. In fact there were reservations in the western academic world to accept Chandragupta as a real historical figure. Greek reference came to rescue as it provided a date, 326 BCE, the year when he met Alexander the Great. According to Plutarch, Chandragupta “was a stripling” when he approached the Macedonian conqueror with a burning desire to establish an Empire in India. Alexander by that time had already accomplished part of his mission and had reconciled with his war weary soldiers to return home. Chandragupta thus failed in getting any military assistance. The meeting of the two had taken place somewhere in the Indus region which is now Pakistan. 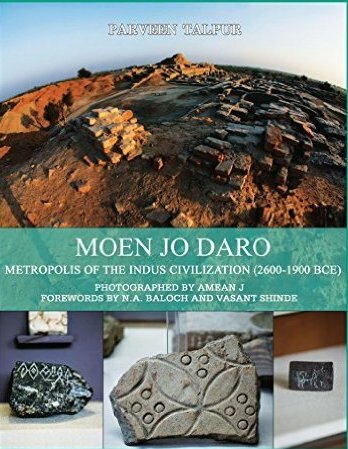 326 BCE thus became a reference point in Indian and Pakistani history as most of the known events before and after this year came be dated. Alexander is also known through vague references; there is a fort he got built in Sindh mentioned in Tuhfatual Kiram; there is a port of Alexander on the Makran coast, another in the delta of Indus and yet another somewhere in Punjab. Out of the thirty Alexandrias that the conqueror built, few are bound to be in Pakistan. There is also the bed of a long abandoned tributary of Indus, passing behind my village, in lower Sindh, the southern province of Pakistan. It is said Alexander may have crossed it on his return journey. On many afternoons I had walked on its banks with the village kids, later as a student and a novice in archaeology I had even wished in vain to discover an amphora thrown long ago in its waters. However, there is another ancient riverbed in the island of Kythera in Greece, its banks are not as barren but sadly the artifacts studded on these are going down the drain due to the collapse of its bank. Kythera, had been a colony of Minoan Crete, it is rich in archaeology. Aris Tsaravopoulos a senior archaeologist who had worked in the island for 15 years, and who too had been retired, feels that the site may be part of a tomb but who knows it may also hold clues to the world beyond the island. Wasting Greek artifacts, or artifacts anywhere in the World, is wasting a vital ancient record of the common past of human race. Aris attempted to save some larger pieces of pottery, reports Randy in New York Times, but the pockets of his Khaki vest are not large enough to store a massive heritage that Greece owns.